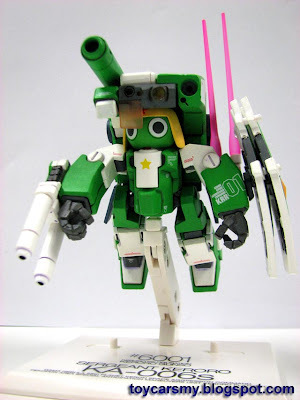 Although I tag this post under NotAboutToy, but it is a figure toy from Bandai. 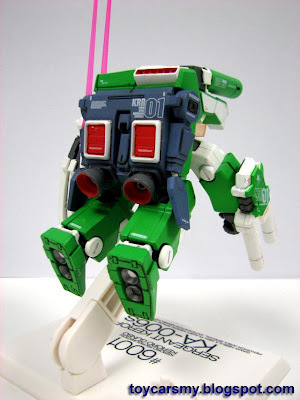 I do not collecting figure, but I were also pulled by this green robot. 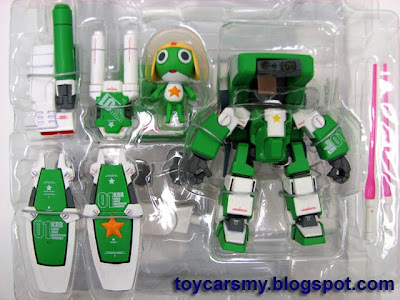 This Keroro Gunso was purchased during Isetan sales at very attractive price, RM49.90. Figuration models are usually more expensive, but this price is very reasonable. 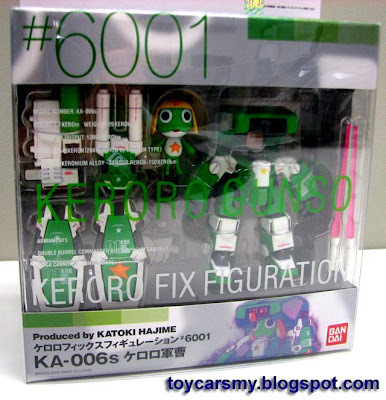 Furthermore, this Keroro came with detailed painting, moving parts and extra accessories, with such quality, it will definitely cost higher if you purchase elsewhere. In the packing, it came with optional weapon, hands and stand. 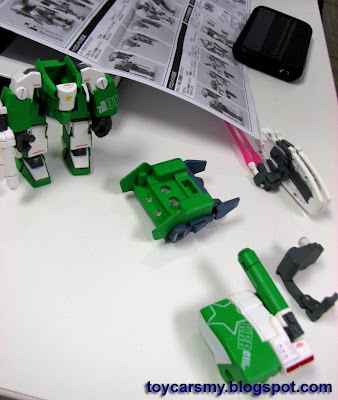 Moreover, joins and parts are movable for you to post base on your liking.